The second black work border in dark brown thread was worked this week on the aida cloth. It is nearing completion on one side. 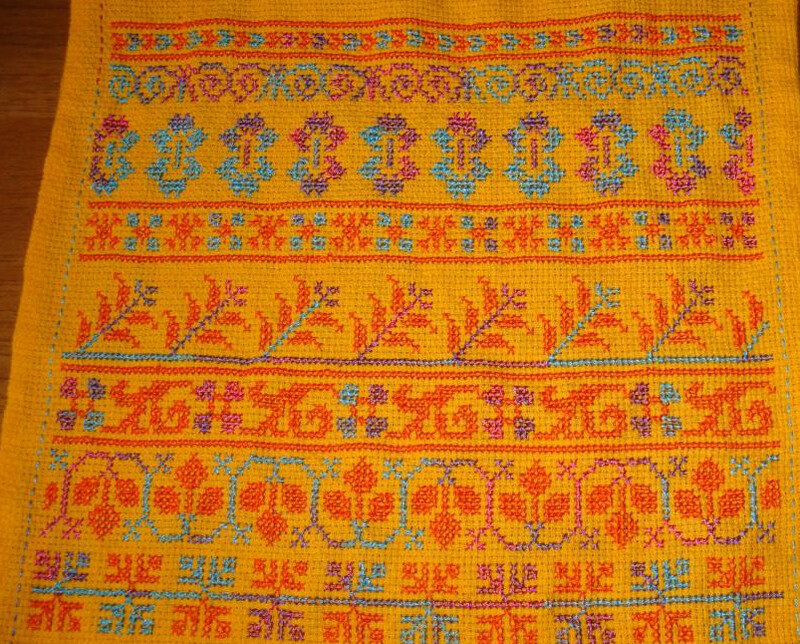 This border is also worked continuously and completed in the return journey. 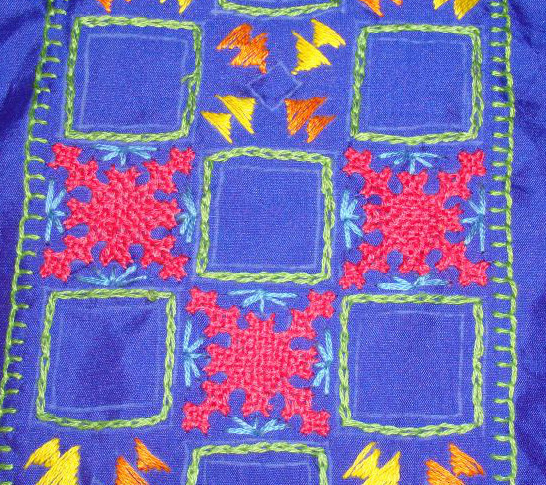 Small straight stitches were worked around the kutchwork motifs on the mirror work yoke. Drawing kalamkari patterns is very interesting. 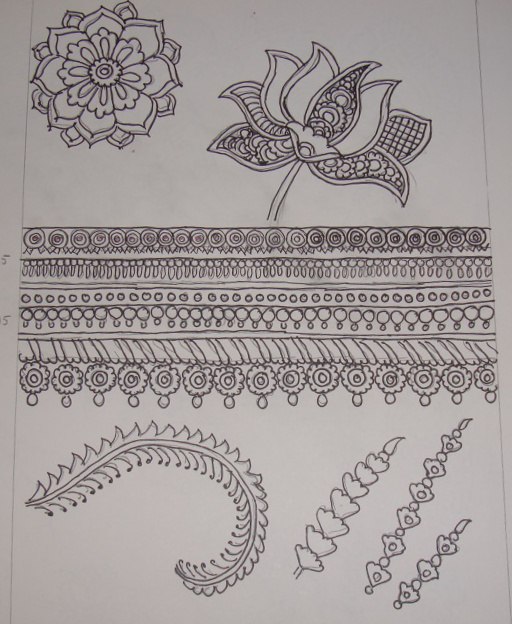 Now I know why some people enjoy zentangles. The repetitive patterns are really relaxing. I listen to some sleep inducing music during this exercise. Working half an hour at night seems ideal now. This week’s edges are quite interesting on this challenge. The free graph for these edges are here. The interesting part starts with the 46th edge. This edge is worked in double running stitch or Holbein stitch. By working with this stitch, the edge looks the same on both right and wrong sides. 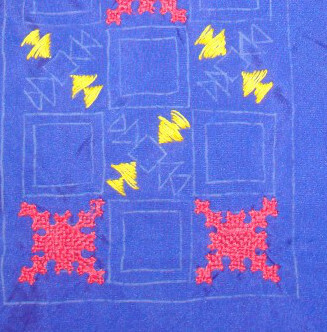 The Indian kasuti embroidery is worked this way. Video demonstration of this technique is available on this link. I was excited to start this on my own, missing the video. The method of working the ends neatly is shown there. So sad! My untidy version is here. But I have managed to work the cross stitch in double running stitch. I have stopped worrying that the thread used on these edges is not bright. It feels okay now.